Hi everyone! It's April now, which means it's time for aaaaaaa..... monthly favorites post!! 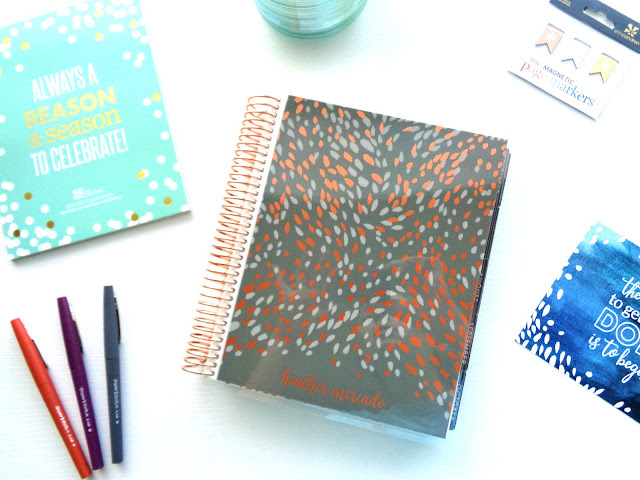 This is the first time I've done a monthly favorites on my blog, and I'm so happy to finally be doing one! I absolutely LOVE reading about/ watching videos of other people's monthly faves. They're probably one of my favorite sort of posts, and they're a fantastic way to discover new things you may end up loving! Currently, I'm still trying to wrap my brain around the fact that it's already April. I swear it was just Christmas a week ago. Time is flying! Before we know it, it'll be time for April's monthly favorites, and then eventually our 2016 favorites. So crazy! Mason jars are so popular right now. They're just so versatile! You can use them to decorate as a flower vase, to store things in, or (my favorite), as a cup! 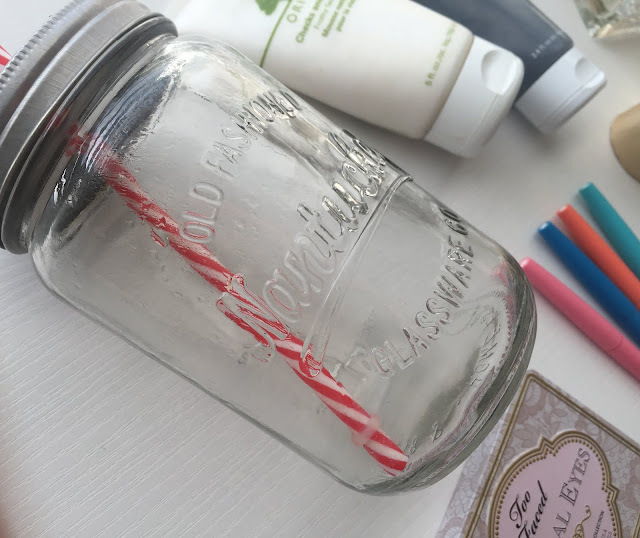 I found these amazing oversized mason jar cups, complete with tin lid and red-striped straws, on sale at a store called At Home. You can really find them anywhere though. I have yet to find a better glass to drink iced coffee in. 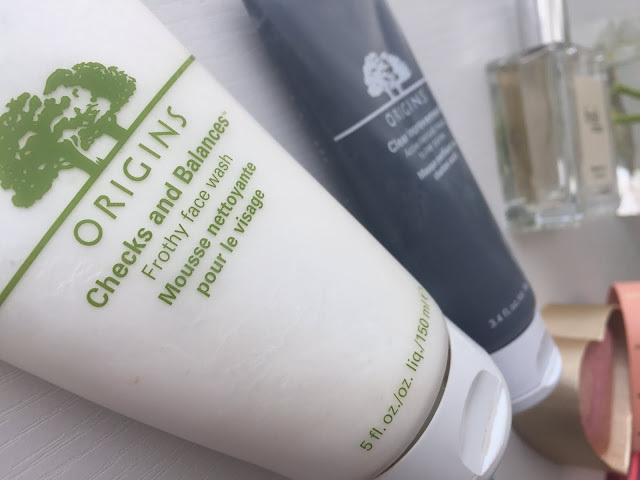 I've loved Origins skin care products for a long time now. As someone with problem skin, I've really loved these two products. The Checks and Balances face wash claims to work well for both dry and oily skin by balancing any dry and oily areas to keep skin feeling comfortable. I love this face wash because it leaves my skin squeaky clean, a tiny amount can cover your face easily, and the frothiness makes it so refreshing! The Clear Improvements Active Charcoal Mask to Clear Pores is hands down my favorite facial mask. This mask is incredible for problem/acne prone/oily skin. It basically uses charcoal to draw out all the gunk in your pores, which reduces breakouts, and leaves your skin glowing and able to breathe again. Charcoal is known to keep oil at bay, so that's why it's a great option for any oily skinned guys and gals out there. This is the perfume that I was wearing all through March. I've had it for almost 2 years now, but I was really loving wearing it recently. I talked about this perfume in my National Fragrance Day post, so for a bit more in-depth review of it, click here. 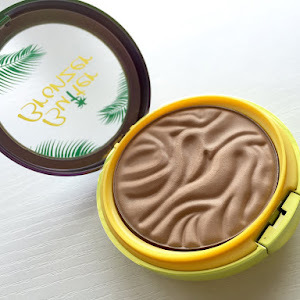 Even though this little gem of an eyeshadow palette didn't make it onto my Holy Grail Makeup Product list, it came pretty close. 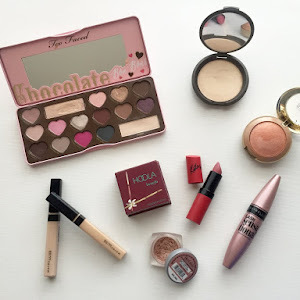 I've used it sooo much the last month for an everyday eye look! It's so pretty and has just the right balance of neutral colors in shimmers and mattes. To see the colors on the inside of the palette, click the the name of the palette above. 5. Paper Mate Flair Pens in "Tropical Vacation"
These are my absolute FAVORITE colored pens for writing in my planner. 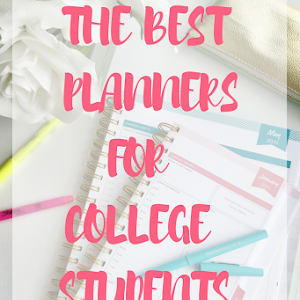 I'm one of those college students that HAS to have a planner, or else I would literally forget the due date of every single assignment for all of my classes. 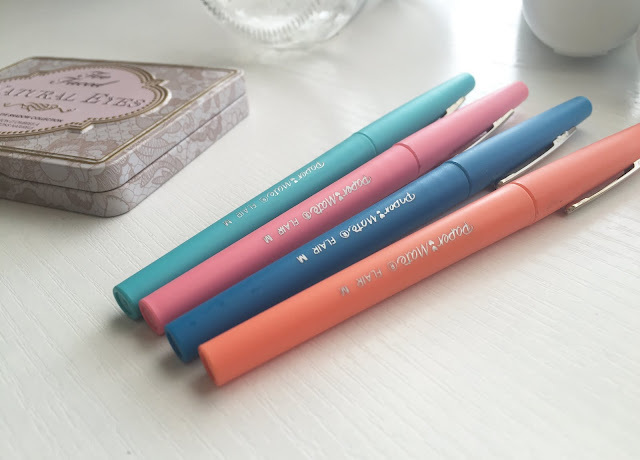 One way I like to organize my planner is by color, so these pens are perfect for that! This particular set is tropical themed, which I adore since it reminds me that summer is almost here! 6. 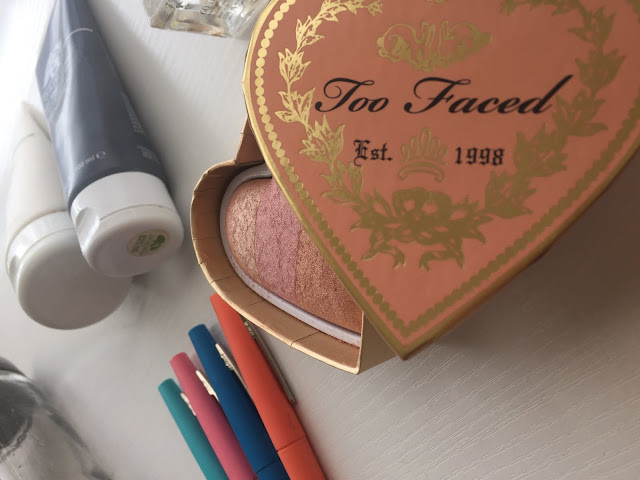 Too Faced Sweethearts Perfect Flush Blush in "Peach Beach"
If this blush looks familiar, it's because I reviewed it's sister shade "Something About Berry" in this blog post. While I thought that shade was lovely, I decided to switch it out in favor of Peach Beach, which has a peach, rose, and bronze shade. As it turned out, it did look much more flattering on my skin tone. Both are gorgeous blushes and I would recommend any shade in that line! I'm obsessed with this color and I'm sure it'll end up in my 2016 favorites post. 7. 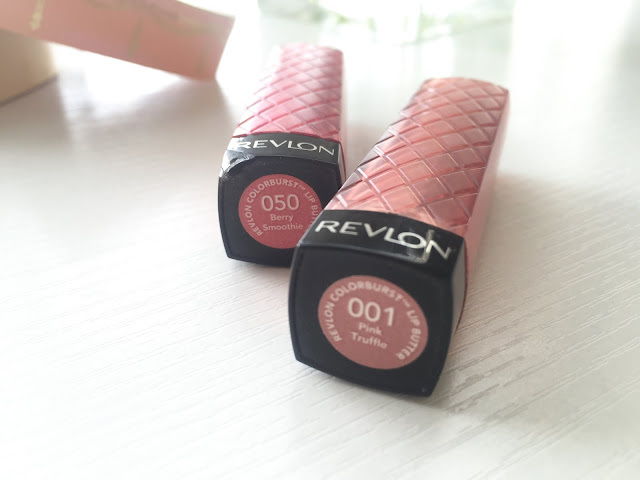 Revlon Color Burst Lip Butter in "Pink Truffle" and "Berry Smoothie"
Last but not least, the Revlon Color Burst Lip Butters in Pink Truffle and Berry Smoothie are the lipsticks I gravitated towards the most in March (Pink Truffle in particular). Berry Smoothie is a brighter, more playful pink, while Pink Truffle is a warm rosy pink your-lips-but-better shade. I wore this countless times when I needed a neutral lip to go with my eye makeup. 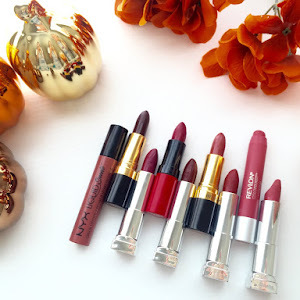 I love this line of lipsticks because they go on thick, moisturizing, and luxurious with a medium to sheer coverage. Truly like butter. 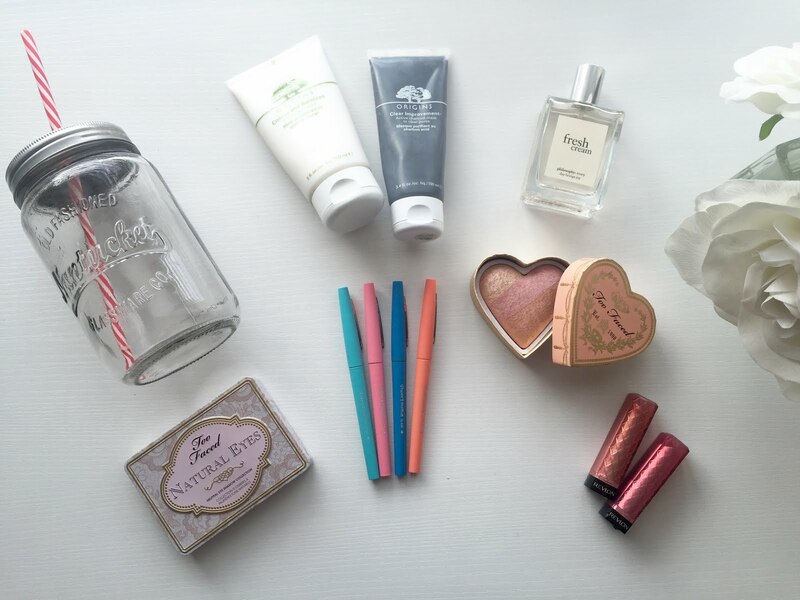 Well that's it for my March favorites! I hope you've liked reading about my favorite things from the past month, and I hope you'll check in for my favorites for next month! 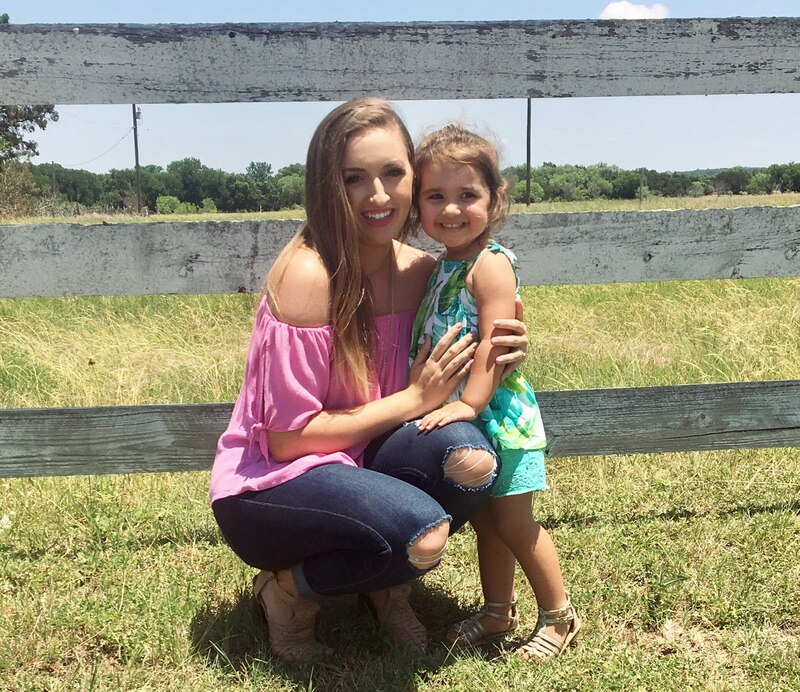 Do you have a monthly favorites post up, or just any things you had been loving in March? Tell me about it in the comments below!